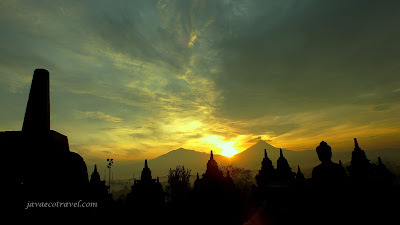 Borobudur Sunrise is one of the best thing to do to enjoy the magnificent of the 8 century ancient building. You will be amazed by the combination of Buddha image, the burning sky, and the active Merapi volcano on one frame of your photo. To do this tour means scarifying your hotel warm blanket in the cold morning. You have to get up at 3.00 am, boxed your nice breakfast or skipped it. Make sure that your camera battery was fully charged on the afternoon. 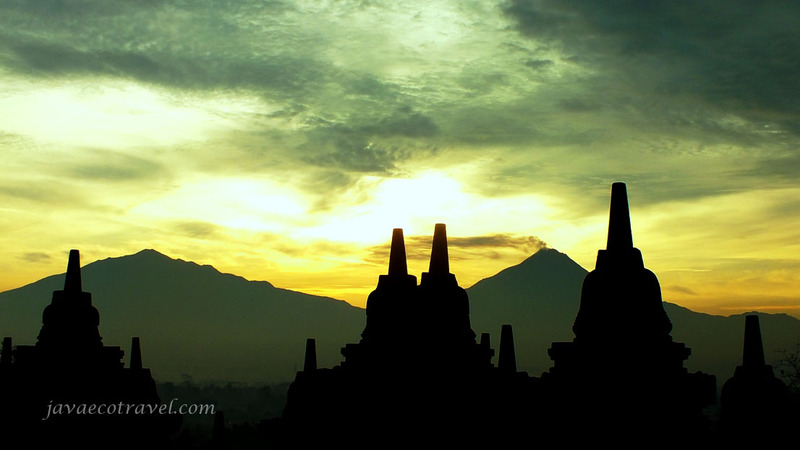 Sometimes the weather was disappointing, no sun and cloudy, but once you got a perfect sunrise in Borobudur you will never forget it. Some people tried several times to get a perfect sunrise here. Some were just very lucky, first time visit and the sunrise was perfect. 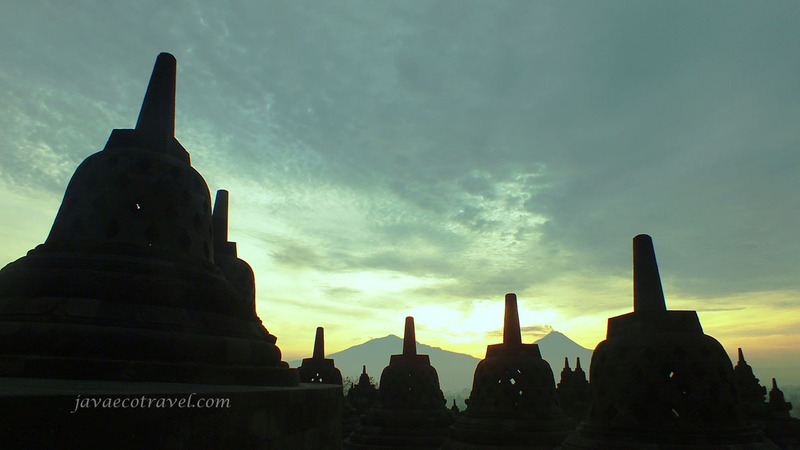 But, even though there is no sunrise, you will still witness the magnificent ancient architecture and art work of Borobudur Temple. 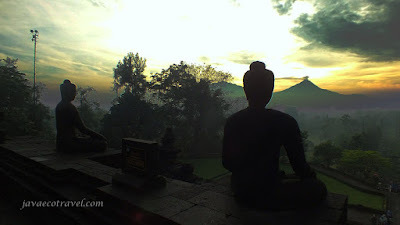 The ticket for Borobudur Sunrise is quite expensive. The visitor who wanted to enter the temple before sunrise time has to pay IDR 400.000,-. The regular ticket entrance is IDR 260.000,-. The best time to do this tour is during the dry season, start from July until mid of November. 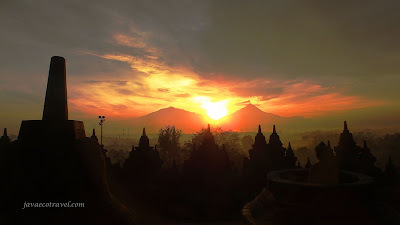 If you join our Borobudur Sunrise trip, we will make sure that you come at the right time and get the best place to enjoy or photographing the sunrise from the top of Borobudur temple. Please contact us, to get the best tour service in Java.